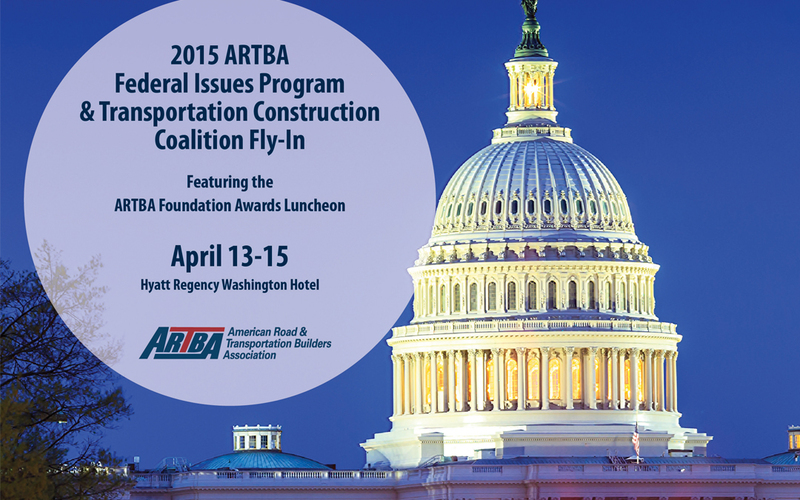 For 2015, ARTBA’s Federal Issues Program (FIP) and the Transportation Construction Coalition (TCC) Fly-in have been moved forward a few months, from June to April. While some might think the switch in seasons was done to allow ARTBA members to take in D.C.’s famous cherry blossoms, the real reason has more to do with the policy than with scenery. At the end of May, the federal Highway Trust Fund (HTF), which supports more than half of the capital investment made by state DOTs in highway and bridge work, faces its sixth insolvency crisis in eight years. The uncertainty over availability of federal transportation funds has already prompted some states to identify projects that will not move forward. Your presence on Capitol Hill this spring will be critical to keeping the heat on Congress to find a permanent solution on the HTF so we can end the cycle of uncertainty that for far too long has negatively impacted the U.S. economy and job growth. By registering for the FIP and TCC Fly-In, you can help make sure your Senators and Congressman are “hearing directly from the folks back home” about the urgent need for action. While there understandably might be battle fatigue among some when it comes to dealing with lawmakers, the New Year also brings new hope and cautious optimism. Leaders of the 114th Congress are acutely aware they must demonstrate to the American people that they can govern. We have many new members of the House and Senate whom we can educate about the value of transportation investment. And political leaders of both parties in both chambers have publicly acknowledged in recent days the scope of the HTF problem and the need to deliver a bipartisan legislative solution. The FIP and TCC events will also present opportunities to meet with federal agency officials about regulatory proposals, and connect with hundreds of executives from top contractor, engineering, equipment manufacturing, safety and material supplier firms, and public agency officials. Whether you come for the networking, the cherry blossoms, or to have your voice heard on the upcoming legislative battles that will impact our market for years to come, I hope you will join me this April in Washington.